From the Xenotron swarm known as the Kree-Tau Belt in the Prahvax System comes the fifth Galaxxor: Monster Hunter Robo, Galaxxor 005! 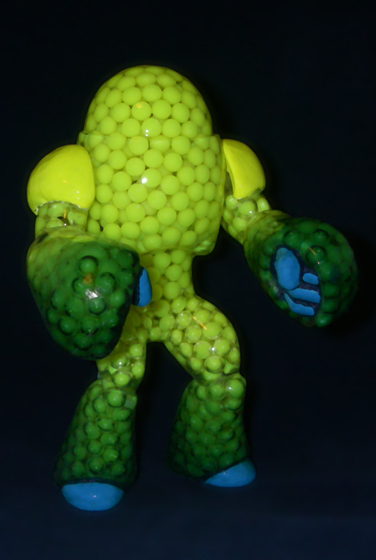 This classic 5.5" action figure-style resin art toy was sculpted by Ben Spencer, hand cast in neon yellow bb-filled crystal clear resin by The Godbeast and hand painted by Ben Spencer. 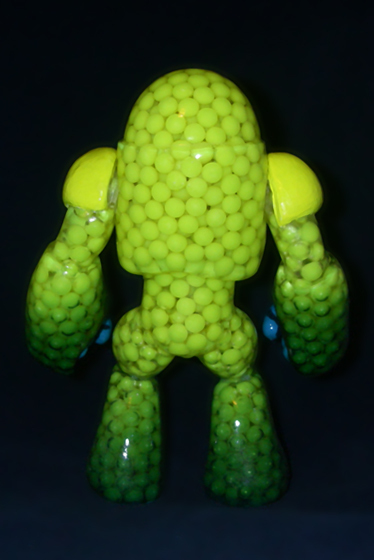 Galaxxor 005 features 2 points of articulation and comes packed in a traditional bag and header style with exclusive header card art by Steve Seeley. 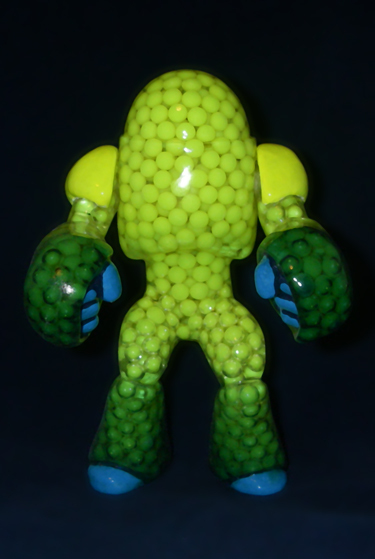 This figure is limited to an edition of 4 and will never be produced in this colorway ever again. 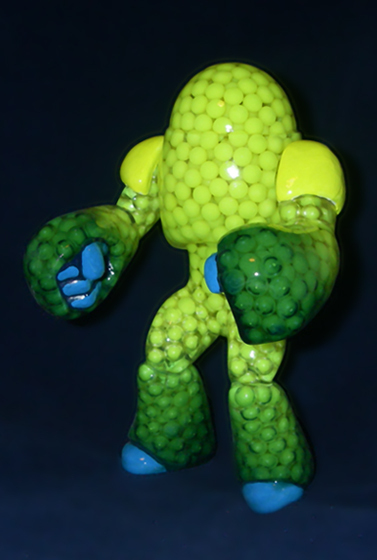 Galaxxor 005 will be available for $75 each on 08.05.11 at noon CST, exclusively from The Galaxxor Online Store.